I love all of the animals of my family. I don’t like to use the label or term, “pet”, so I don’t. They are my family and I love them as so. We have one dog and two cats. Kaine, our entertaining and rambunctious 18 month American Red Nosed Pit-bull has blessed our lives when he was only 8 weeks old. He has grown very quickly and is filled with so much energy and love for all of us and those he comes across. My eldest feline friend, who we have had since she was 4 weeks old, is now 5 months and is an intelligent and affectionate black and white Tuxedo cat, who I must say loves to cuddle and has the most softest fur to compliment. She’s one of the first things I see when I wake in the morning and of the last things before I go to bed. Then the youngest member of our tribe; Kyra, is our cinnamon swirl, American Short Haired cat. She is now almost 4 months old and she has been a joy in our life for more than 3 of those months. She is still growing, learning and maturing but is doing it fairly quickly. We have fed each one of these amazing animals by the bottle, had trained them, bathed them, played with them, cared for them, fed them, cleaned up after them, and still continue to do it all and are thankful for the opportunity and ability to do so. Not only are they all a part of our family, but our extended family loves them all as well. One day my sister and I had been leaving our brother’s house and as we walked past his neighbor’s porch, we noticed there were about 9 kittens slowly walking and playing in and outside a large cage. We asked if they were for sale, they weren’t, but because the ASPCA was actually on their way to pick them up since the owner was unable to provide for all of them alongside the cats she already had. However, she agreed to let me choose one of my choice before they arrived. I chose Kyra, not only because I loved her cinnamon swirl fur, but I admired her effort and ability to make her way towards me, as if she knew right then and there I had to make that decision. Since then, our house has been her home. Kaine had been given to me on mother’s day from my fiancé. He opened the door and there he was with his bright blue-collar, wagging his tail ready to play and be held. We love him and he returns the love gracefully. We don’t know much about his past before he entered our lives, but we know what the possibilities for his life could have been. He was put up for sale by someone in the neighborhood we use to live in, and we know that as a male Red Nosed Pit-bull, he may be forced into living a life of fear, violence and danger due to his breed, and never given the chance to be that loving and affectionate dog he is today. Unfortunately, pit-bulls are given labels and are stereotyped, but that’s not any different from an individual profiling and discriminating another due to their race or religion. Due to Kaine’s situation, Mothers Day in effect, and my fiancé knowing how I feel and my stance when it comes to less fortunate issues, he knew it would make my gift even more special. I love them both so very much! Kylie was abandoned after her birth when the woman who had once owned her mother had moved and left all of them there in the empty house. They were only 2 weeks old. The neighbor had found them, nurtured them as much as he could, and decided to give them away for free to those who he knew would take good care of them. He happened to be my mother in laws friend so we were both given a kitten of our choice. Kylie was, and still is very adorable. When she was a kitten, she had a wondering left eye that I was worried may have a detachment so I felt even more compassion towards her. I chose her due to the love I felt immediately after I seen her. I wasn’t too sure at the time if her eye would be like that permanently, or if it was just a birth effect that she would grow out of, but I knew she would be loved regardless in my family. I was told to give it time and her eye may set itself in place naturally, it did in fact just a couple of days later. If that man had never saved them , who knows where my Kylie would have been or treated. Not everyone can care for animals though, some can’t afford too. I would say may not have the time, but c’mon, as busy of a super woman as I am, along with the many other busy bodies I know with animal(s) to care for, that can’t be possible or an acceptable reason. Unless of course you are always traveling and are never home, then maybe so. In my personal opinion, cats do not need an owner, they just need a safe environment to live in, maybe food, but they’re capable of finding their own source. They can survive on their own and are very independent, cleanly and intelligent which is why I love their company. Dogs however, have a more immature state of mind and are in more need of attention and play. They seem to stay in a child’s mind set throughout their life but become able to grow more loyal, loving and secure relationships easier. Having animals isn’t much different from having children. They require both the same needs besides clothing, unless of course you live in Beverly Hills. Unlike humans, animals can only signal,and cant speak the same language to tell you what they want or feel so communication which is key in any relationship, is limited. However, with children, if needed, you can get assistance in the care and support of them for food, medical, shelter, cash, utility payments, job search, etc with available government programs, with or without more help by their other parent/guardian and even tax credit incentives. Having animals takes 100% independence to care for. So as a single pet owner, I guess it is correct to say you’re a real single mother/ father. Their medical bills to food is of the owners responsibility, and it isn’t cheap. Toilet paper and Pampers overtime are cheaper than forever needing kitty litter. If I didn’t enter their life, who knows what could have happened to them. They could have ended up in a shelter and then released or put up for adoption. Regardless, Kylie, Kyra and Kaine, along with all other animals around the globe deserve to be treated humanly. They could have actually ended up in a better home than mines that included more amenities but I know that what I have and can offer to them is more than they need and will always be available. Animals deserve all the love and rights that we expect as humans to have. Throughout the year, donations are needed to help with the shelter, and support of animals in shelters, and in the wild. You don’t have to donate a lot. Any amount is enough to add some assistance for an animal in need whether its money towards a shelter’s electric bill or food count, a private veterinarian practice, or food and fresh water for those who are stray . I have attached some links where you can also learn more about animals and how you can help in their survival and well-being. Looking forward to read more of your posts in 2015. If you ever feel like, visit my blog. Thank you and happy New Year to you as well. I apologize for the delay in response, I just learned to approve and enable my comments. 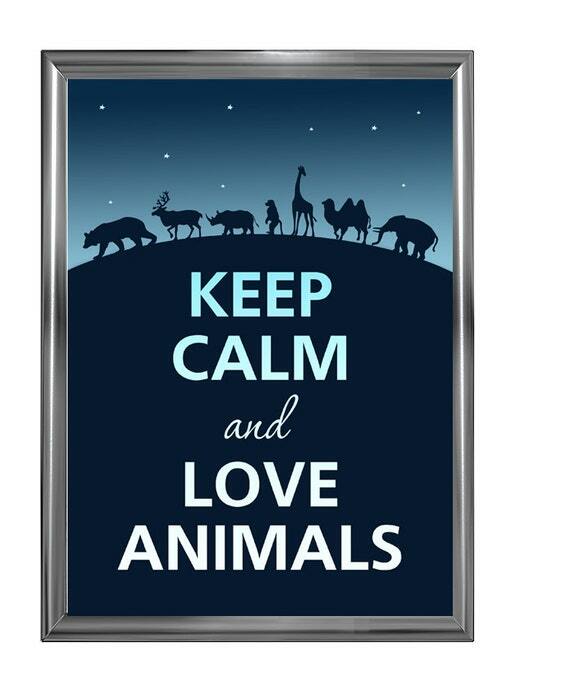 Loved your post and your animals……….